My call into The Rude Awakening on FM 94.7 discussing the Georgiana Vines column in today’s Knoxville News Sentinel about Jason Zachary’s opponent saying if she is successful on Wednesday, she will double dip from the tax payers. Collecting a School Board check and the State Legislature check. She will receive benefits and travel reimbursements from both. 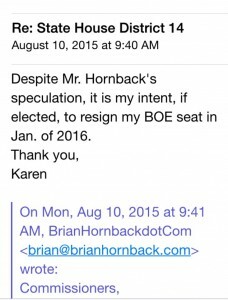 I sent an email to all Commissioners and copied Zachary’s Opponent. John Schoonmaker told me Thursday night that the Commission intends to appoint this month Wednesday’s Republican winner to the vacant position of state house district 14. Georgiana Vines in today’s news sentinel that Carson if successful intends to keep both seats until January. Beginning 9/11/2015 individuals can begin picking up qualifying positions for the March 1 non partisan position of School Board 5th district. I can see and I would suspect many of you would agree that by January, Carson could say well the primary and general is March 1 and August 2016 and stay on until 9/1/2016. I respectfully request that if Carson is successful that you NOT appoint her until she has resigned from the 5th district school board seat. The last thing (in my humble opinion) we need is a double dipping rubber stamp. Carson replied, she did not copy me. Thankfully, I received a copy. This afternoon, I replied to the Commissioners, again copying Mrs. Carson. I copied Mrs. Carson out of common decency and as a courtesy. I see she did not afford me any of that, However, in not being trivial I will include her again. What is the reason to delay? What date in January would she resign? January 1st or January 31st? The media demanded that Representative Haynes not hold both positions and his position with the TN Republican Party is NOT funded with tax dollars. It would appear that what Mrs. Carson desires is dual paychecks, dual benefits and dual travel reimbursement accounts all funded by the taxpayers dollars. My request to you Commissioners is to watch the tax dollars and don’t allow the tax payers to be mistreated and under represented. Also, this morning J.B. a caller into The Rude Awakening and made some connections to Zachary’s opponents past positions and hurdles she has supported and the possible consequences to the hurdles. Who Will Run for Election in 2008? If she does all this here, no telling what she’ll try to get away with in Nashville. 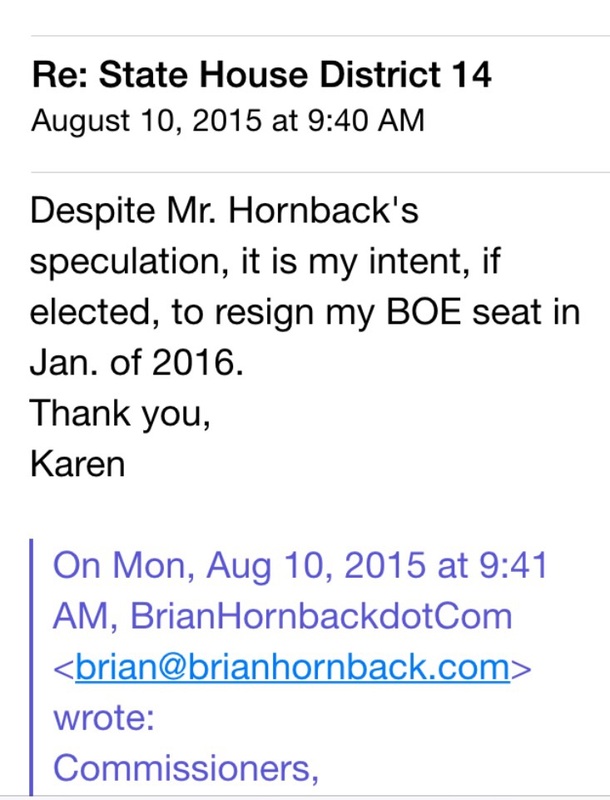 Next story Why Did An 11 year School Board Member Apparently Violate Knox County School Policy?